By cupcakeSerenity on July 8th, 2010 . Filed under: Jewelry . I have fallen in love with this necklace from Lucius. This Sterling Silver necklace is handmade by a Chicago artist. 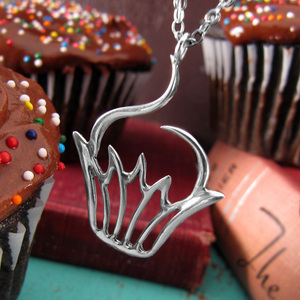 This is a cupcake necklace you could get away with wearing to work.